Free economy ground shipping in the US! Orders are processed and leave our warehouse within 1-2 Business Days. Delivery to addresses within the United States within 3-15 business days. The delivery date is not guaranteed. Normally free for shipping for all orders over $75. For all orders under $75, a fee of $4.95 will apply. Delivery to addresses within the United States within 3 business days. No PO boxes or military addresses. No delivery on Saturday or Sunday. Delivery to addresses within the United States within 2 business days. No PO boxes or military addresses. Delivery to addresses outside of the United States within 60 business days, but usually in 2-3 weeks.Limited tracking numbers are available with this service. Also commonly known as "air mail." The parcel is tendered to you by your country's postal service. You may be charged brokerage fees by your country's postal service. You may be charged duties and taxes by your country's government. Delivery to addresses outside of the United States, usually within 10 business days. Includes a tracking number. The parcel is tendered to you by your country's postal service. You may be charged brokerage fees by your country's postal service. You may be charged duties and taxes by your country's government. Delivery to addresses outside of the United States within 3-6 business days. Includes a tracking number. The parcel is tendered to you by FedEx or a contracting private carrier. You may be charged brokerage fees by FedEx. You may be charged duties and taxes by your country's government. FOXERS ships from the United States using top carriers (FedEx and USPS), to ensure the best possible price and most reliable delivery to get your package to you when you need it. Most orders ship within 1-2 business days. We try to ship orders the same day they come in before noon Eastern US time. If your order is time critical, we suggest that you upgrade to 2-Day or Overnight shipping. If you upgrade, your order would arrive in 1-3 business days. * If your country charges import duties on shipments from the US, you are responsible for the import taxes and duties. Please inquire about the rules in your country. * We ship all orders to APO/FPO Addresses and U.S. Territories via USPS. While most orders arrive in a timely manner, occasionally shipments may take 2-5 weeks. Unfortunately, we can't guarantee delivery times to APO/FPO addresses. * You can check your order status online anytime. * If you haven't received your order in 14 business days, please email sales@foxers.com. If you choose Standard Shipping, some larger packages may need to be picked up at the local carrier's facility instead of being delivered to your home. Your order will be packed in a white mylar envelope or plain brown box with the return address of FOXERS ASD. The packaging is discrete. Inside, the products are put into a reusable backpack like the one pictured below. 1. Due to health code regulations, underwear must be unopened and unworn. Please make sure all tags and packaging are intact. We are unable to issue refunds for merchandise that is used and un-sellable. 2. If the return was due to an error on our part (i.e. we accidentally ship you the wrong merchandise), we will be responsible for all shipping charges to correct the error. You may also choose to receive a full refund or store credit for the returned item. Please allow up to 10 days to process your return and issue a refund to your credit card/paypal. In the unlikely even that you receive damaged goods, or items that you did not order, it is important that the items remain unworn, unopened, and unlaundered so we can credit you in full, including return shipping and send you a replacement immediately. 3. If the return is not due to an error on our part (e.g. after you received the correct merchandise, you want a different size or color, or no longer want the item), you will be responsible for return shipping fees. We will refund the purchase price for the item(s) being returned - please allow up to 10 days to process your return and issue a refund to your credit card/paypal. If you are exchanging an item, standard shipping fees will apply. Please include your name, address, and order number with any return! Log into your account and make a "Return Request". 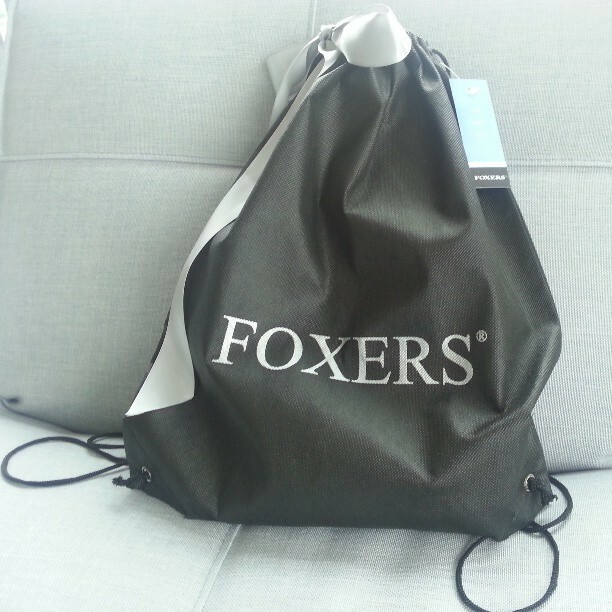 If you have buyers remorse and really wish to deny yourself the pleasure of receiving your FOXERS order, email us at sales@foxers.com and let us know. If we have not shipped the order yet, its easy to cancel. If we have shipped it, please see the returns section. Please email us at sales@foxers.com if you have any additional questions.